Catch the tall grass prairie fever as former Manitoba Tall Grass Prairie Preserve Botanist, Laura Reeves, shares her passion for this endangered ecosystem with a walk around the Prairie Shore Trail (1 mile, easy terrain). Then marvel at the structural and creative beauty of Historic St. Michael’s Ukrainian Orthodox Church while those dedicated to its preservation enlighten you with stories of years gone by. Feeling hungry? Local volunteers will be waiting for you at the Gardenton Museum with delicious home-made Ukrainian cuisine and an eagerness to share their memories and stories with you as you tour the Museum grounds and buildings. The Badger General Store, established in 1908, is a great photo opt on your way through Badger. No longer in operation, Badger General Store sports vintage Salada Tea advertisements in its windows. It is on private property, but it’s close enough to the road for great pictures! 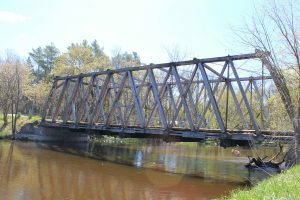 The Gardenton Truss Bridge is a municipal heritage site just east of Gardenton. It was built in 1918 over the Roseau River. Over the years, the Gardenton Bridge has remained a single lane and has survived through floods and ice jams. Come see the Gardenton Bridge and be intrigued by the history that is still actively participating in the present. Down a scenic dirt road off highway 12, you’ll find the Lonesand Hall, a historical site. This one-room schoolhouse was established in 1918 and still stands till this day. This gravesite, located by Horseshoe Lake near Sundown, is the grave of the child of a Swedish immigrant family (1910-1912). The present grave marker was installed in 1950. Access to this site is limited, as it is located at the end of a gravel track off Hwy 12. 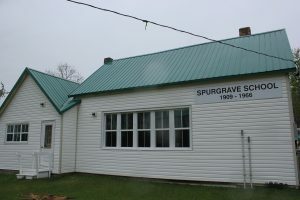 The historical Spurgrave School is a rare Manitoban example of a log schoolhouse, located in Carrick. It was built in 1909 and has teacher’s quarters attached. The grounds include a historical flagpole and original outhouses. The schoolhouse even holds the original desks and blackboards. First organized in 1908, the one-room school was updated and rebuilt, and is currently vacant in the village of St. Labre. Originally established in 1906, the Pine Creek School has been through a lot. A second classroom was built in 1928, then in 1950 a third was built. However, it was destroyed by a fire. Classes for 130 students were held at various businesses in the village. 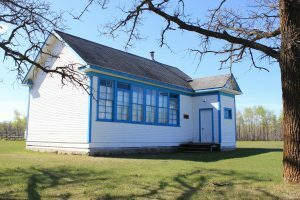 After the school district was dissolved into Boundary School Devision, the schoolhouse was used by the Hutterite Colony, and then became vacant. It is now privately owned with a monument commemorating Piney’s old schools. 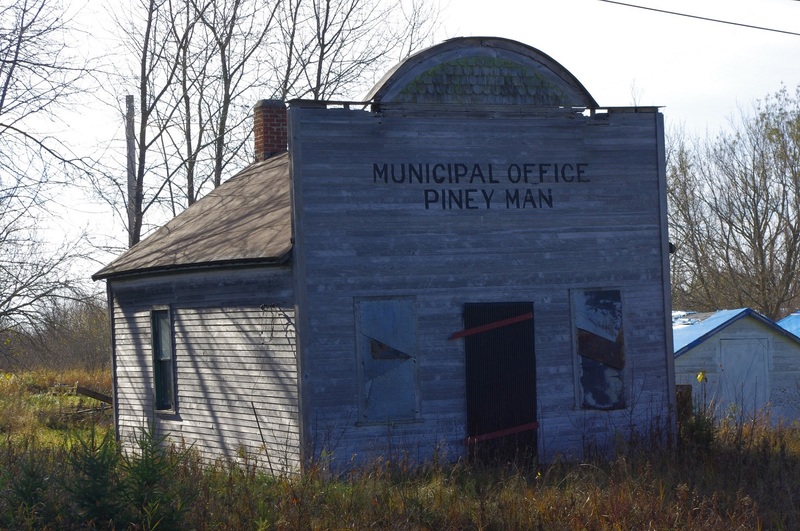 This vacant building served as the municipal office in the 20th century. 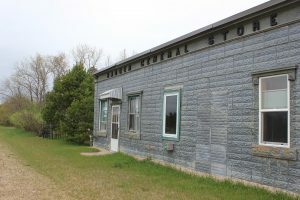 These monuments near the customs office in the RM of Piney commemorate the boundaries of Manitoba as they were in 1870.